2019 Missouri pins are a tribute to the Ranatra Fusca Award. 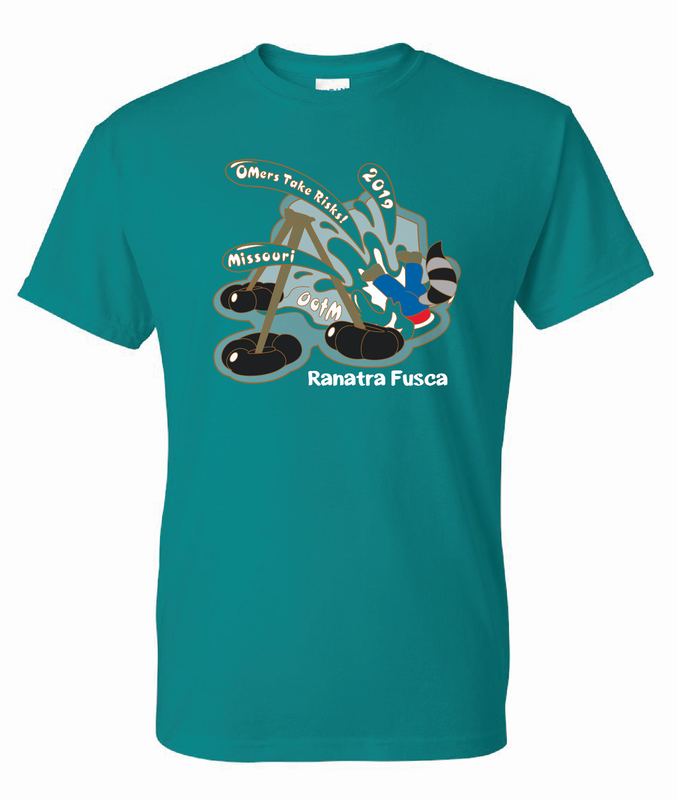 The Ranatra Fusca Award, named for the water strider insect, promotes and recognizes exceptional creativity. This award represents the essence of the Odyssey of the Mind program. The Ranatra Fusca Award is given to teams or individuals who display tremendous creativity at competition. This award serves as an incentive for risk-taking and out-of-the-box thinking for Odyssey participants. 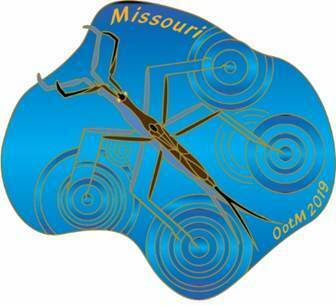 One pin illustrates the water strider while the other pin shows a student design that was the inspiration for the Award. Students in Dr. Sam's engineering class modeled their invention after the water strider. While it did not work, the design was extremely creative. In our version, Omer is falling from the device and into the water at Glassboro State University. 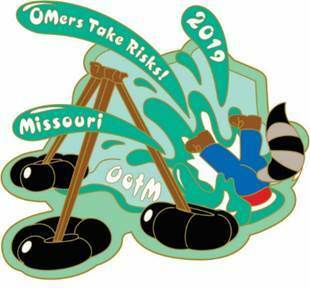 2019 MO Odyssey of the Mind Pins. Designs by Plano Pin Co.